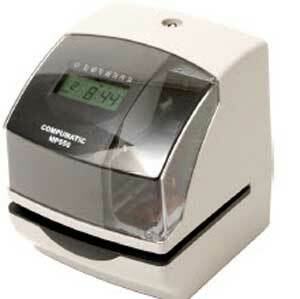 Compumatic MP550 stand-alone punch clock. Easy operation, updates for DST, power outages. Automatic print, select from many print formats.